People who are on a keto diet have to keep their carbohydrate intake to a minimum. But most of the tasty foods we know are high in carbs. But hey, don’t get disappointed already! I’m proud of what you’re doing with your diet and I’m here to tell you that you can still enjoy tasty foods while you’re on keto. 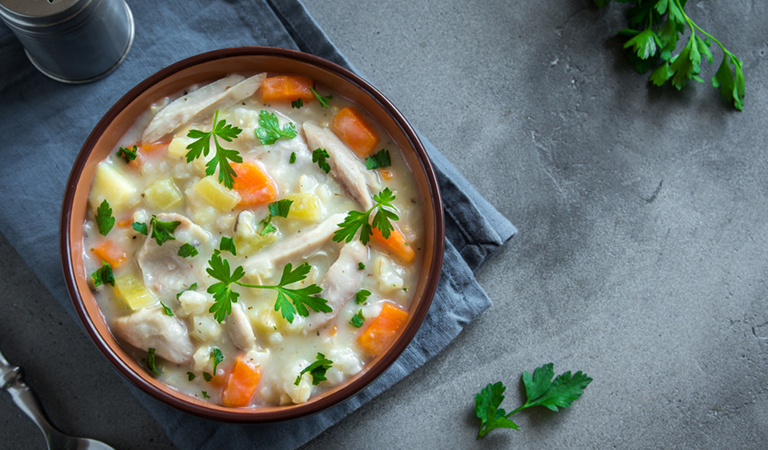 Like almost everyone, you probably love a fresh bowl of tasty chicken soup but since you’re on a keto diet, you’ve probably avoided that too due to the carbs in chicken soup. But did anybody tell you that there are low carb chicken soup recipes specially designed for your diet? Well, there are. So, let me take you on a venture on how you can make the soup. I’ve selected the two low carb chicken soup recipes that I frequently follow at my home. You can prepare these low carb soups and preserve them with top quality soup warmers to enjoy them later anytime you want. I’ll now discuss the low carb soup recipes one by one. 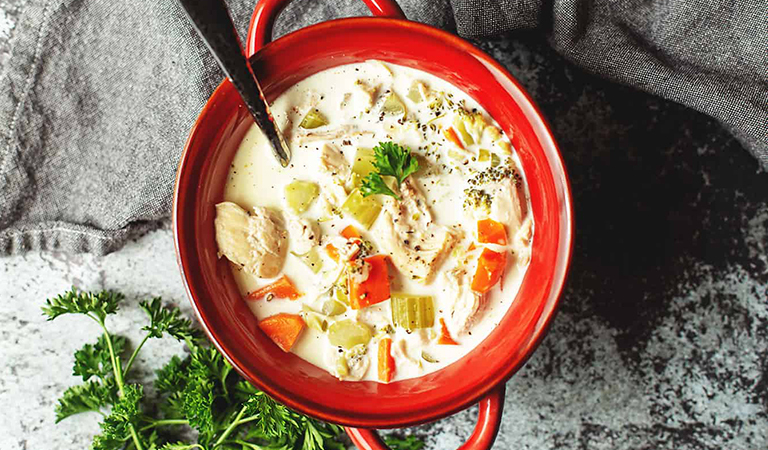 This gluten free, low carb cream of chicken soup is especially great for the keto dieters. And like most soups, it’s easy to make. You can also enjoy this chicken soup bowls of creaminess even if you don’t follow keto diet. On a cold and chilly day, you can keep the soup in a soup warmer and enjoy it for a day or two. Cream Cheese – 3.5 oz. If you’re looking for a low carb chicken vegetable soup, look no more. This low carb chicken soup contains an abundance of both chicken and vegetable. It’s a great soup not only for the keto diet but also for cold or flu. Cooked and Diced Chicken – 16 oz. Cubed Celery Root – 8 oz. Chicken soup doesn’t only satisfy the appetite but also the soul. My two exclusive low carb chicken soup recipes are healthy, delicious and very easy to make at home. Make sure you’ve got all the ingredients right! 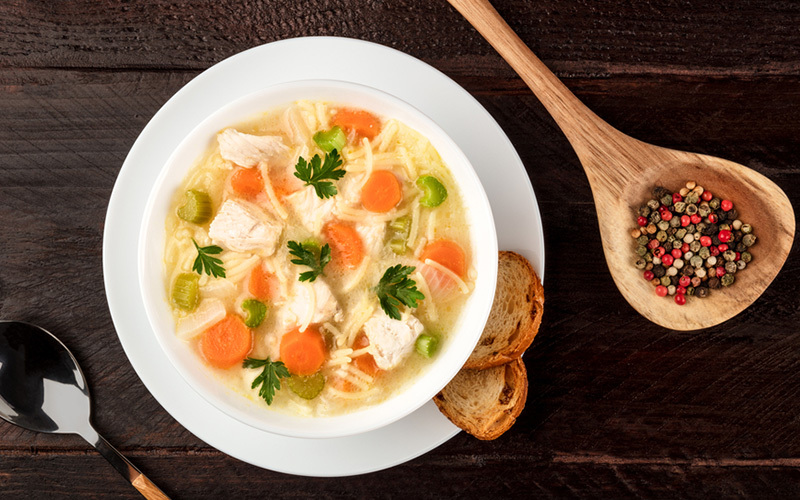 These keto chicken soup recipes go well with a low carb diet and also serve as a comfort for people with cold or flu. Do you know what’s a great idea? You can make a good amount of soup in a single cooking period, store it and use a soup warmer each time before having your soup. You can save the energy you would have otherwise wasted in the kitchen each time you feel like having a bowl of soup.